This article by Brenda Harvieux originally appeared in the January/February issue of Northern Gardener. Like other garden clubs, the Bemidji Garden Club has regular meetings, community plantings they tend, a spring plant sale and tours to exceptional gardens, but what stands out is the members’ commitment to the environment and local food. 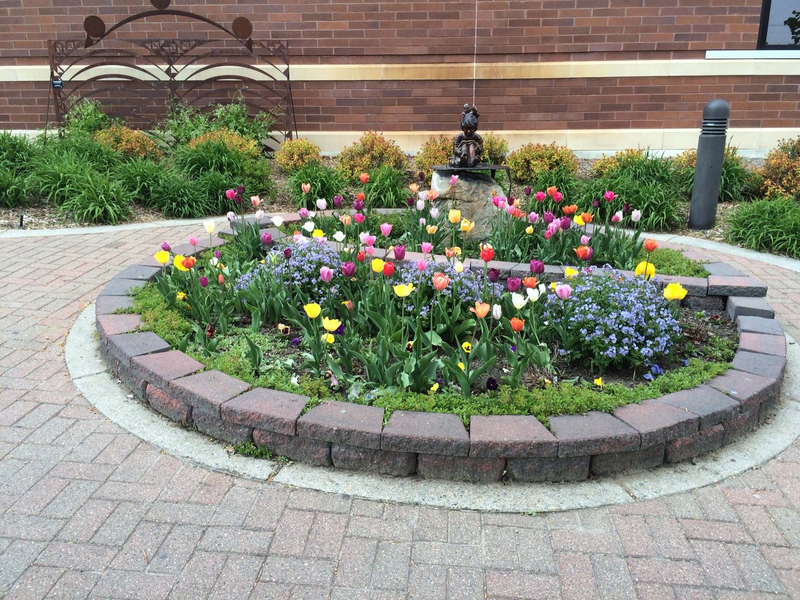 Maintaining plantings at the Bemidji library is one of many community projects this active garden club is involved in. At the Bemidji Garden Club annual plant sale, members started including native plants in their inventory, and have sold out within 10 minutes of the sale opening. With such success, the club has been able to take requests from community organizations for donations, says Libby Underhill, the club’s treasurer. Community Table, an organization that offers free meals to people in need, and a local homeless shelter were recent recipients of grant money from the Bemidji Garden Club. In March, the group will be touring the Bemidji Food Shelf’s large, new deep winter greenhouse. “Our food shelf is very active—it has to be because we have the need in our community—and having this type of greenhouse lets them offer fresh produce year-round,” says Libby. They’ve cared for the flower beds at the library for years, but recently revitalized most of them as native plant gardens. “Bemidji is really active in the Birds, Bees and Butterflies Campaign,” says Libby. Started by the Mississippi Headwaters Audubon Society, Bemidji Monarch Project committee and other local organizations and businesses, the campaign promotes the planting of native trees, shrubs, and wildflowers in the community to benefit birds and pollinators. “A lot of people choose to live in Bemidji to enjoy the outdoors, and they want to take care of the environment,” says Libby.